Wine, ISBN: 9783848011438 - available from Nationwide Book Distributors Ltd NZ. This exceptional book brings together everything worth knowing about wine in one single volume. André Dominé’s magnificent publication combines all you need to know about wine, winegrowing, and wine production in every part of the world, into a truly gargantuan work. 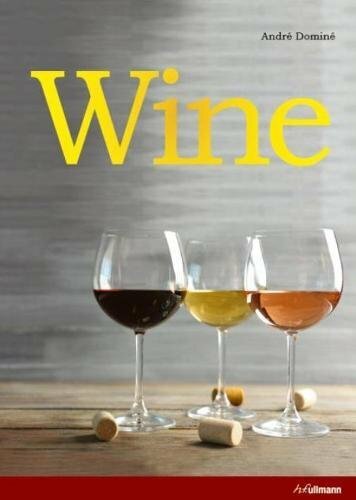 It is a wine atlas, a reference book, and a wine directory for all countries, and wine-growing regions, around the world. It is also an ideal guide to buying wine. Those looking to brush up on their knowledge can read about everything from the basic rules of tasting to choosing the right wine for a meal, and from everyday life in the vineyard throughout the year to environmentally sound viticulture. Every wine-growing country in the world is presented by experts in clear and coherent terms which every layperson will understand and appreciate. More than 2,000 photographs and over 150 detailed maps provide an accurate overview of each and every region.